Anywhere in the Colorado Outdoors! Catering Consciously is not just our name, it is our philosophy. Catering Consciously is quickly becoming Denver’s premier Boutique Caterer for your Weddings, Corporate Events and Exclusive Dinner Parties. Our experienced team will prepare exquisite cuisine that is beautifully presented and backed up with flawless service…every time. “We are still hearing compliments about your catering at our wedding in August, not only about the food but your service, professionalism, the whole ball of wax. I have already referred several people to you and am considering another event with you just so we can taste your wonderful food again! "You and your staff really were the core of making our wedding such a success. We cannot thank you enough! You really are wonderful people!" We were so happy with your services, Matt. We loved the food and everyone raved about that, as well as the personal service they got from everyone on your staff. What a fun and wonderful event it was for our wedding brunch. From the day we met you, we felt we were getting professional personal service and advice about how to plan our wedding. The fact that we experienced your personal touch with the planning and that you are also a "green" company made this a spectacular event for us and our guests. We have received fabulous praise from so many who attended. We appreciate the time you took to visit our home beforehand and make sure that we had the best of everything for our special day. 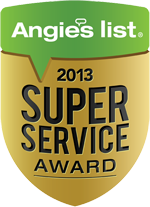 You folks are the best and we will be telling everyone about your awesome company. Our mission is to create an incredible catering experience, consisting of local, organic, seasonal, and sustainable cuisine, without the negative impact to the environment. No matter what type of event you have planned, with Catering Consciously, your whole experience will be eco-friendly from beginning to end. We don't just offer a “Green Menu” or the option of holding a Green, No-Waste Event, that’s just what we do! Let us bring the local, organic restaurant to you! Recently, a bride-to-be contacted us to say that she’d been hesitant to call because our website looked so good that she was sure we were beyond her budget. Turns out, we were a perfect fit. Our job is to make your wedding or event look as good as it gets, while keeping costs and disposable waste to a minimum. Because we’ve been in the business so long, we’ve got a number proven ways to do more for less, at every level, even budgetary. So don’t let our website’s good looks deter you. Call us. Catering Consciously has been recognized for its Green actions by GreenAmerica, GenGreenLife, Colorado Proud, and ReVision International, among others. 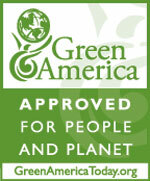 As Colorado's only organic caterer to attend the 2009 Green Festival in Denver, Catering Consciously has earned an Associate Membership with GreenAmerica.org. 's Green Business Network.